After a great season opener in Luton two weeks ago, the Genting Poker Series 2017 tour is heading up north to Newcastle next month with the GPS Newcastle Mini running February 16 to 19. The £220 Main Event has a £35,000 guarantee which includes nine seats in GPS 2017 £440 Main Events. There are three start days and one re-entry per Day 1 and, if you’re up in the Newcastle area already, there’s a £25 live satellite at the casino on February 13 (with ten Main Event seats guaranteed). All levels are 40 minutes long with 11 levels on all Day 1s and Day 2 playing to a finish. The starting stack is 25k and late registration is open for 6 levels. One of the unique features of the Genting tour is that if your chips total less than the starting stack when you’re bagging up, you can opt to hand them in and re-enter the following day. Last year, Gerry McNally took down the Newcastle event, defeating a 247-strong field to win £49,400. 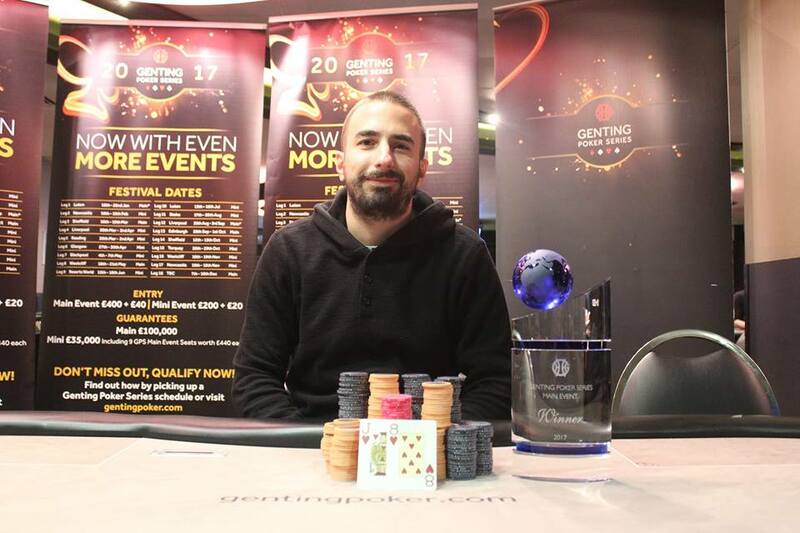 The first GPS champion of 2017 was John Bonadies who won the Leg 1 in Luton for £31,591 in mid-January. There are 18 events planned for 2017 taking place right across the UK. All the “Mini” events have a £220 buy-in with £35,000 guarantee while the major £440 buy-in events – such as Sheffield in March, Westcliff-on-Sea, Essex, in May, Liverpool in August, Edinburgh in October, boast a £100k guarantee. The Genting Poker Series is a fantastic national tour that uses local casinos to provide that 'big' tournament experience at affordable buy ins. MainEventTravel is the tour’s Official Travel Partner and we’ve negotiated a number of deals at hotels local to all the stops so don’t hesitate to get in touch if you’re planning a trip.